Σχετικά άγνωστο από την περίπτωση Σακαφλιά. *The title refers to the fate of Julius Caesar, most famously retold by Shakespeare, after he was warned to “beware the Ides of March”; he was Brute(ly) murdered on that date. *Guyana (Cult of the Damned)" is a song about the 1978 mass suicide led by Jim Jones of the Peoples Temple group, at Jonestown, northwestern Guyana. On the afternoon of November 18, 1963 John Coltrane went into Rudy Van Gelder’s Studio in Englewood Cliffs, NJ and recorded the tune Alabama. He did not tell anyone in the studio, including the members of his legendary quartet McCoy Tyner, Elvin Jones and Jimmy Garrison, what the tune is about. The band played five takes of the moving piece of music, of which the last one found its way into Coltrane’s record Live at Birdland on the Impulse Label. Coltrane kept his thoughts and feelings to himself, but it was clear that he was playing a eulogy for the victims of the bombing that took place in Birmingham, Alabama two months prior. The sorrowful melody captures the sadness not only over that tragic event, but the whole human injustice that sparked the civil rights movement. The bombings were carried by Ku Klus Klan extremists and were a tipping point in the history of the movement. The sad event is documented well elsewhere, one good reference here: About the 1963 Birmingham Bombing. Martin Luther King addressed a crowd of mourners at the funeral service for Addie Mae Collins, Carol Denise McNair, and Cynthia Diane Wesley in the Sixteenth Street Baptist Church on September 18. A separate service was held for the fourth victim, Carole Robertson. He delivered a moving speech, a Eulogy for the Martyred Children. Coltrane may have had Martin Luther King’s eulogy in mind when performing the piece. Both Coltrane’s music and King’s words are passionate and mournful, and lack bitterness and hatred. Similar to King’s speech where he transforms from mourning into determination for the struggle against racism, there is a point in the tune where Elvin Jones switches from a very quite accompaniment into a crescendo of toms and cymbals played with mallets. H δολοφονία του βασιλιά της Σερβίας Αλέξανδρου απ' τον Βούλγαρο-μέλος του ΒΜΡΟ Βλάντο Τσερνοζέμσκι στη Μασσαλία το 1934. Κανονικά δεν πρέπει να τους ζητήσουμε να αλλάξουν τους στίχους, εκεί που λέει κάτι για "αυτονομιστές απ' τη Μακεδονία" να το κάνουν "απ' τη Βόρεια Μακεδονία "; Tουλάχιστον όταν το ανεβάζουν στο γιουτιούμπ, μεταξύ τους ας το λένε όπως θέλουν. Νέα δημοσίευση Τα γεγονότα του ’88. 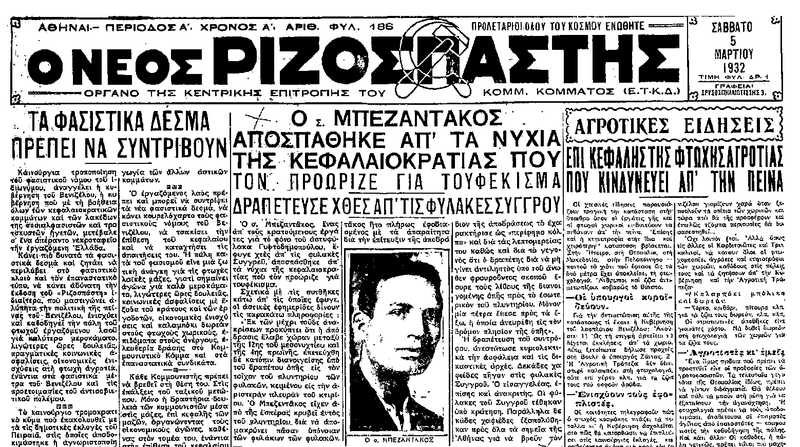 Απόγονοι σλαβομακεδόνων θέλησαν να μπουν στην Ελλάδα για να τιμήσουν τους προγόνους τους.